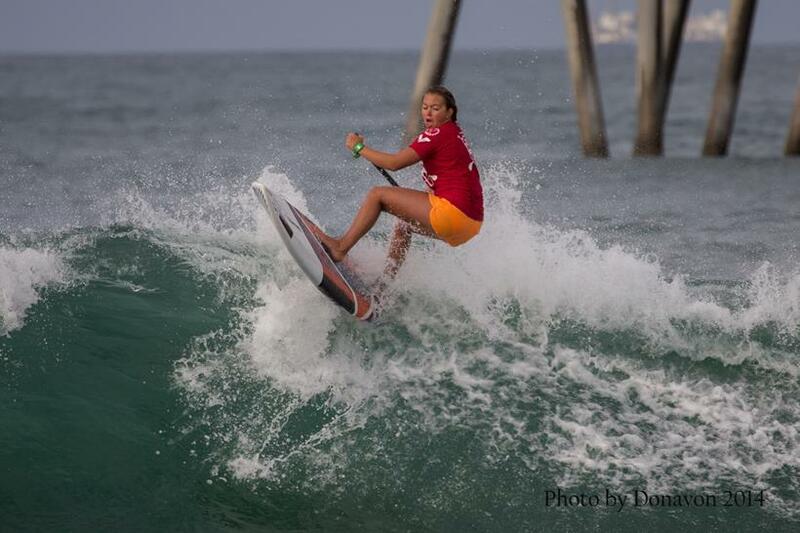 Izzi Gomez (Starboard) made history today by not only claiming her 2nd consecutive Huntington Beach Pro Title, but also securing her first ever World Championship Title in advance of the Final event in France next month. It has been a dominant year for Izzi Gomez, and a meteoric rise to the top since the beginning of last year, as she has taken the world by storm and already won more single events than any other girl, 2013 World Champion Nicole Pacelli included. Her journey to the victory here in Huntington Beach was equally as impressive, as she put on a showcase of some of the most progressive surfing ever seen for the women here on the Stand Up World Tour. It is clear that Izzi Gomez is a name to watch out for and has a huge career ahead of her, with a World Title already under her belt at such a young age. 2013 World Champion Nicole Pacelli put on a valiant performance in the Final heat of the day, unable to post the scores she needed to take the win here in Huntington and retain her coveted World Title in 2014. While the disappointment was obvious for the young Champion, Nicole was gracious in defeat, but also demonstrated moments of brilliance in this groundbreaking 4th stop on the 2014 Stand Up World Tour in Huntington Beach, posting some of the highest scores of the contest for the women. Nicole will now go on to France to consolidate her second place in the World Rankings and looking to finish the year on a high with an event win at the La Torche Pro France 2014. 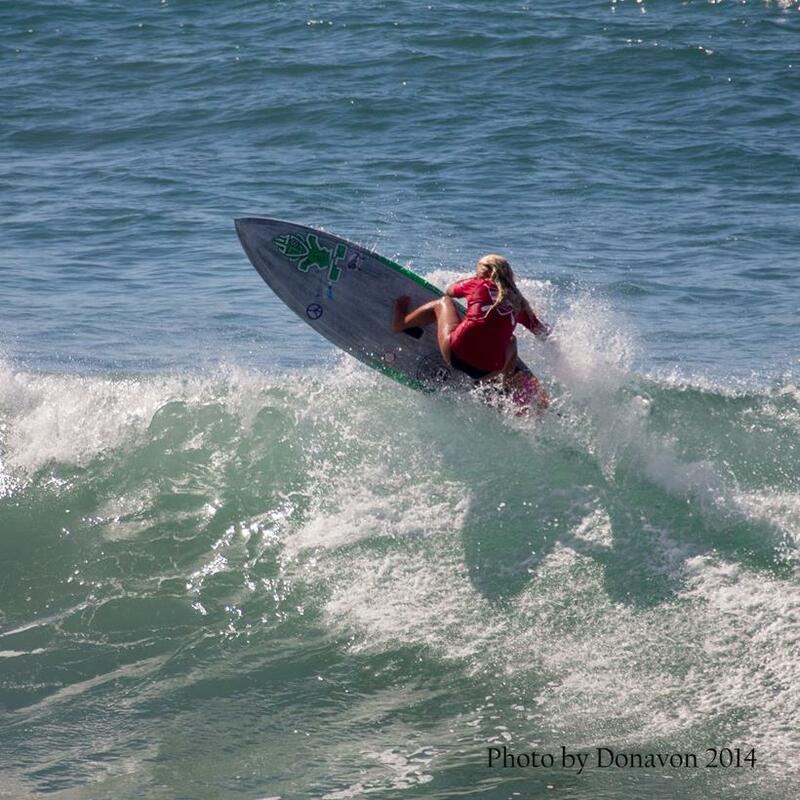 Candice Appleby put on another strong performance this week at the Stand Up World Tour component of the Huntington Beach Pro Grand Slam, where we saw her storm her way through the rounds, winning all her heats on her way to the Semi finals. In a repeat of the Final of the 2013 Huntington Beach Pro, Candice came up against the new World Champion and friend Izzi Gomez (Starboard) in the semi finals and was unable to take down the young phenom, clearly destined for greatness. However, currently lying in 5th place in the Overall World Rankings, Candice is hungry for more, and will be back in action next month in France with the goal of taking down the World’s best at the Final event of the year, to move up the rankings and finish the year on a high. 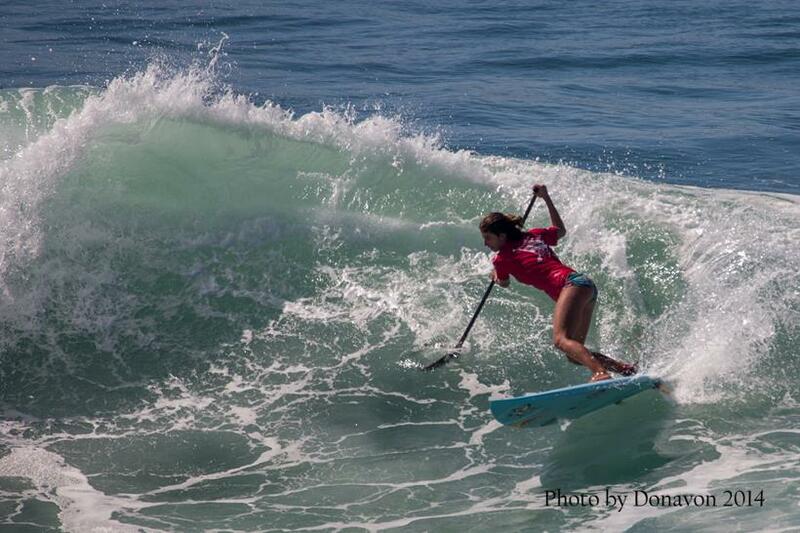 As with many of the male athletes, Candice is phenomenally talented across both Surfing and Racing, so you can watch Candice in action LIVE tomorrow at Stop 4 of the 2014 Stand up World Series here in Huntington Beach California by going to: www.watermanleague.com. Fiona Wylde is a relative newcomer to the Tour, having competed for the first time at the Turtle Bay Women’s Pro back in February of this year, and now in Huntington Beach this week, seeing how she fares against the best of the best. The answer: extremely well! Fiona put on an impressive performance throughout the week, as she blasted through the rounds and all the way through to the Semi finals, to finish in 3rd equal overall. There is no doubt that Fiona is an athlete to watch out for here on the Stand up World Tour, but also on the World Series, as we will be able to watch Fiona LIVE tomorrow right here in Huntington Beach. 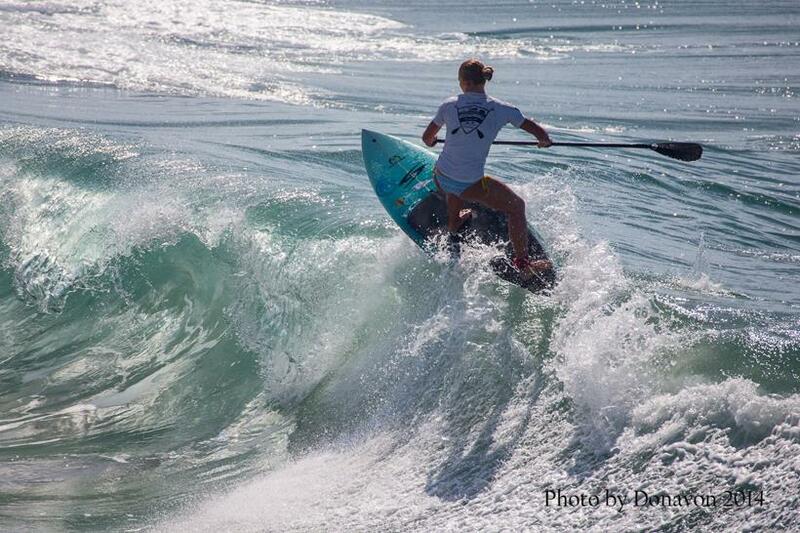 So with the Surfing now complete, we have a full weekend of World Series Racing ahead of us, but also a Nation’s Team Surf Shootout on Sunday morning as well as the Na Kama Youth Challenge. 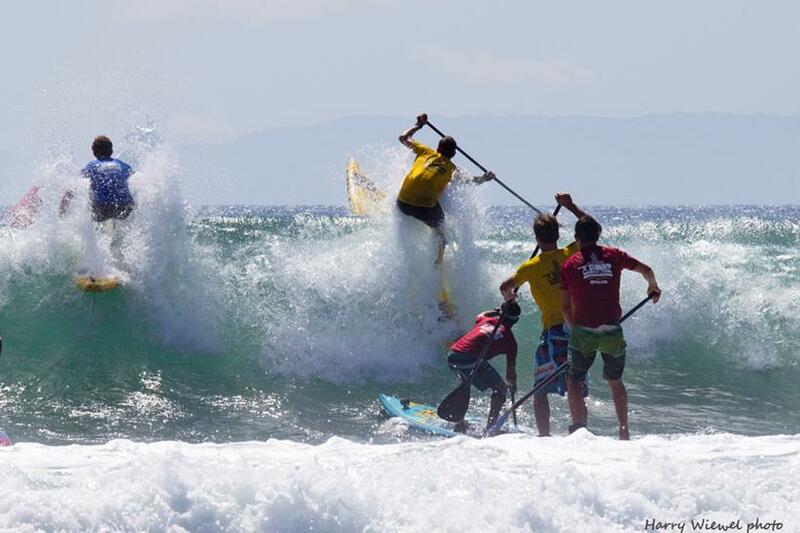 With the best of the best in attendance and one of the most dynamic race courses on the calendar that will provide nail biting action in both the sprints and long distance, Stop #4 of the 2014 Stand Up World Series promises to be an event to remember and cap a dramatic week of action here in Huntington Beach.